Justin E. Hood was raised in McLeansboro, Illinois. Justin received his bachelor degree with honors in 2000 from Southern Illinois University in Carbondale. Justin graduated from Southern Illinois University Law School in 2004. 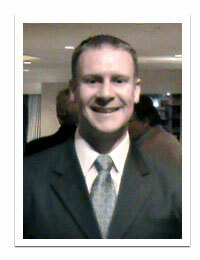 Justin worked as an Assistant State’s attorney for Jackson County, St. Clair County, and Franklin County. Justin won his primary election in February of 2008 and was sworn in as Hamilton County State’s Attorney in August 2008. He was reelected State’s Attorney in 2012 and 2016. Apart from his duties as Hamilton County State’s Attorney, Justin serves as the Vice Chairman of the Illinois State's Attorney's Association. He assists several Southern Illinois Counties as a special prosecutor on conflict cases. He is active on the State’s Attorney Legislative Committee. Justin is also a member of the National District Attorney Association. Justin is a volunteer coach and board member in the Hamilton County Athletic Association. He is a member of the Hamilton County Rotary, Masonic Polk Lodge, and local Farm Bureau chapter. He is also active in the local school system giving presentations on a variety of topics that range from traffic issues, drug and alcohol abuse, to sexual and domestic violence issues. Justin is married to Marcy and lives in McLeansboro with their three children.